Resumo Vigor 2862LN LTE Series is a VDSL2/ADSL2+ Router with built-in 3G/4G/LTE modem, in addition to the DSL connection, cellular connectivity can be simply added by inserting a SIM card. 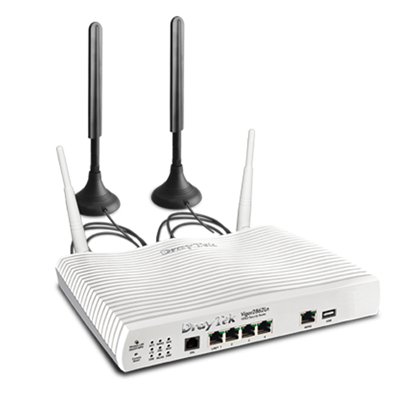 Up to 4 Internet access can be set up on Vigor 2862 LN LTE Series to provide high network availability. Except for being a reliable Internet gateway, it also provides comprehensive firewall and content security management (CSM) features to protect the local network, and it can also be a VPN gateway for up to 32 simultaneous VPN connections, to allow secure connections over the Internet.